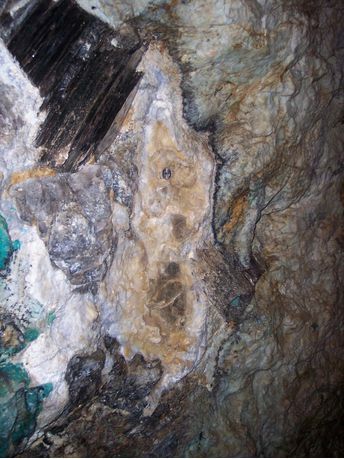 A feldspar-mica and specimen mine in the Morefield pegmatite. Located near Winterham, near Amelia Court House. Started 1929 and owned by S.V. Morefield. 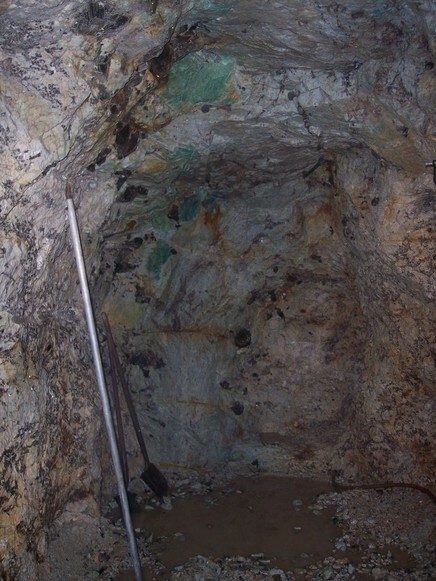 Note: a for-fee collecting area (primarily for kids), which includes salted minerals brought in from outside of the area, is operated here by the owners. 65 valid minerals. 4 erroneous literature entries. Reference: U.S. Geological Survey, 2005, Mineral Resources Data System: U.S. Geological Survey, Reston, Virginia. ; Arthur A. Pegau (1932) Pegmatite Deposits of Virginia. Virginia Geological Survey; Bulletin 33.; Catlos, E. J., & Miller, N. R. (2016). 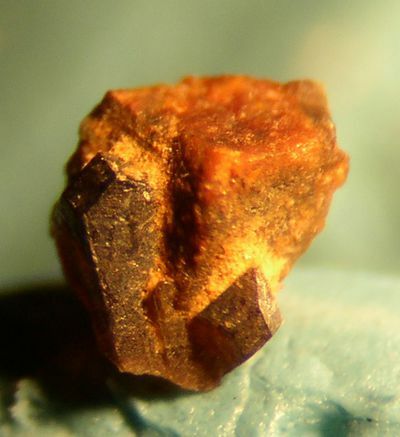 Ion microprobe 208Th-208Pb ages from high common Pb monazite, Morefield Mine, Amelia County, Virginia: Implications for Alleghanian tectonics. American Journal of Science, 316(5), 470-503. 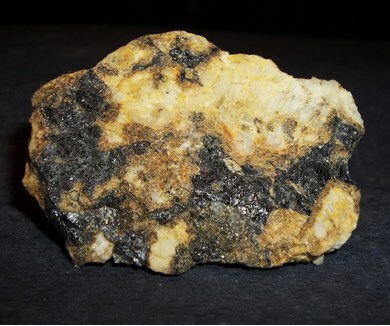 Reference: Virginia Minerals, Vol 46:2; Rocks & Min. : 60:165. Description: Erroneously reported in a letter to the editor. No data. Reference: Letter to the Editor, Rocks & Min. : 8:143-144.; Arthur A. Pegau (1932) Pegmatite Deposits of Virginia. Virginia Geological Survey; Bulletin 33. Reference: Rocks & Min. : 8:143-144.; Arthur A. Pegau (1932) Pegmatite Deposits of Virginia. Virginia Geological Survey; Bulletin 33. Reference: U.S. Geological Survey, 2005, Mineral Resources Data System: U.S. Geological Survey, Reston, Virginia. ; Arthur A. Pegau (1932) Pegmatite Deposits of Virginia. Virginia Geological Survey; Bulletin 33. Reference: [L.E. 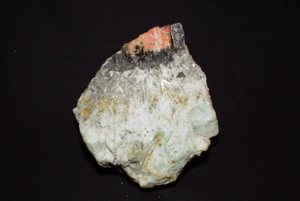 Kearns, 1995 - Mineralogical Record Vol 26 No.6 - "Alumino-Fluorides from the Morefield Pegmatite"]; Richards, R. P., Kearns, L. E., & Cook, W. R. (1998). 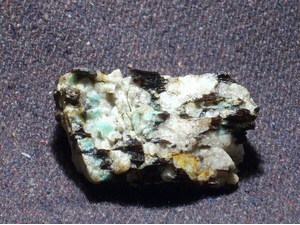 Morphology of Chiolite twins from the Morefield mine, Amelia County, Virginia. Canadian mineralogist, 36, 1009-1016. Reference: Rocks & Min. : 8:143-144. Reference: Rocks & Min. : 8:143-144.; Richards, R. P., Kearns, L. E., & Cook, W. R. (1998). 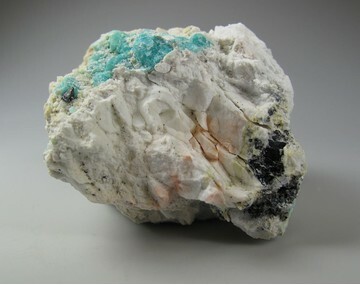 Morphology of Chiolite twins from the Morefield mine, Amelia County, Virginia. Canadian mineralogist, 36, 1009-1016. 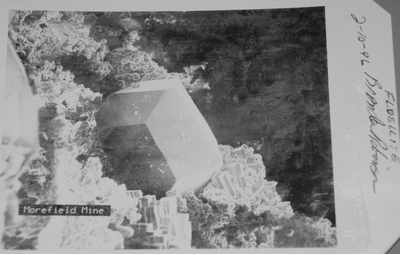 Reference: [Kearns, 1995 "Alumino-Fluorides from the Morefield Pegmatite", MinRec 26:551-556]; Richards, R. P., Kearns, L. E., & Cook, W. R. (1998). 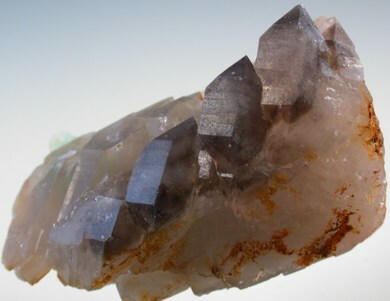 Morphology of Chiolite twins from the Morefield mine, Amelia County, Virginia. Canadian mineralogist, 36, 1009-1016. 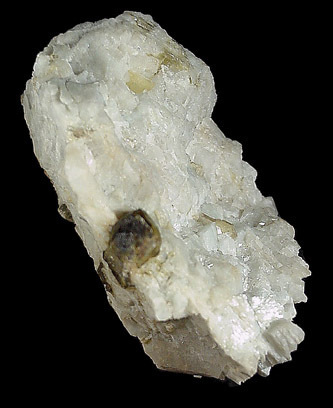 Reference: [Kearns, 1995 - "Alumino-Fluorides from the Morefield Pegmatite"
Reference: [Virginia Minerals, Vol 46:2]; Arthur A. Pegau (1932) Pegmatite Deposits of Virginia. Virginia Geological Survey; Bulletin 33. Reference: [Kearns, 1995- "Alumino-Fluorides from the Morefield Pegmatite", MinRec 26:551-557]; Richards, R. P., Kearns, L. E., & Cook, W. R. (1998). 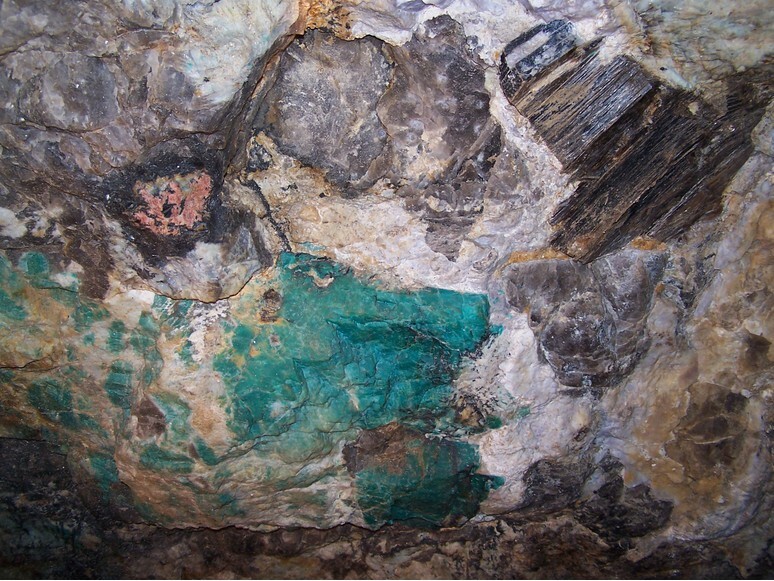 Morphology of Chiolite twins from the Morefield mine, Amelia County, Virginia. Canadian mineralogist, 36, 1009-1016. Reference: [Virginia Minerals, Vol 46:2]; Richards, R. P., Kearns, L. E., & Cook, W. R. (1998). 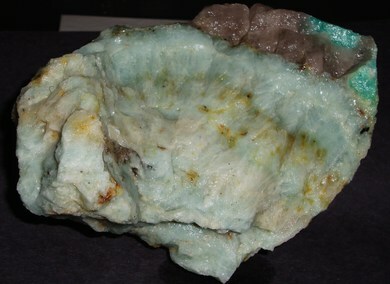 Morphology of Chiolite twins from the Morefield mine, Amelia County, Virginia. Canadian mineralogist, 36, 1009-1016. 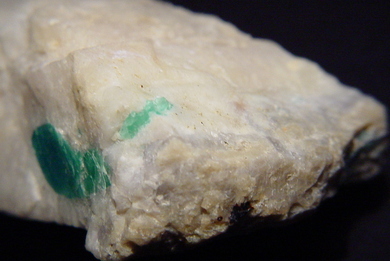 Reference: U.S. Geological Survey, 2005, Mineral Resources Data System: U.S. Geological Survey, Reston, Virginia. ; Richards, R. P., Kearns, L. E., & Cook, W. R. (1998). 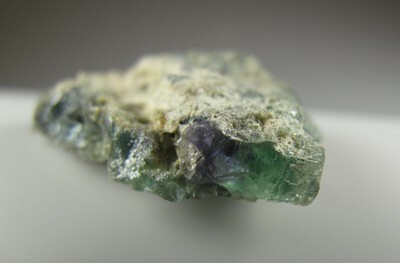 Morphology of Chiolite twins from the Morefield mine, Amelia County, Virginia. Canadian mineralogist, 36, 1009-1016. Reference: [Virginia Minerals, Vol 46:2]; Arthur A. Pegau (1932) Pegmatite Deposits of Virginia. Virginia Geological Survey; Bulletin 33.; Richards, R. P., Kearns, L. E., & Cook, W. R. (1998). 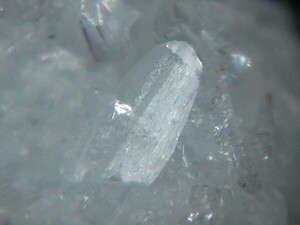 Morphology of Chiolite twins from the Morefield mine, Amelia County, Virginia. Canadian mineralogist, 36, 1009-1016. Reference: Catlos, E. J., & Miller, N. R. (2016). Ion microprobe 208Th-208Pb ages from high common Pb monazite, Morefield Mine, Amelia County, Virginia: Implications for Alleghanian tectonics. American Journal of Science, 316(5), 470-503. 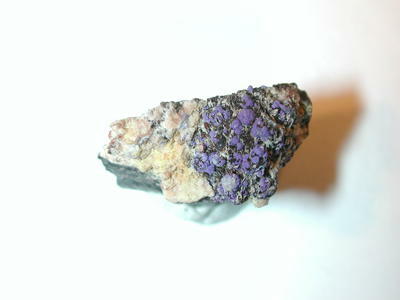 Reference: Minerals of Virginia, 1990 by R. V. Dietrich; Richards, R. P., Kearns, L. E., & Cook, W. R. (1998). 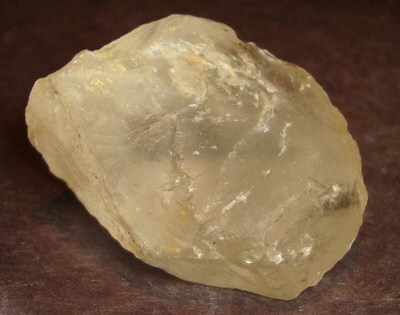 Morphology of Chiolite twins from the Morefield mine, Amelia County, Virginia. Canadian mineralogist, 36, 1009-1016. 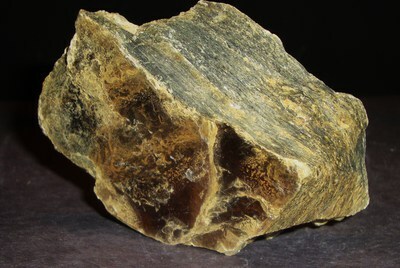 Description: Historical reports of blocky "orthoclase" in virtually every granite pegmatite worldwide are microcline. 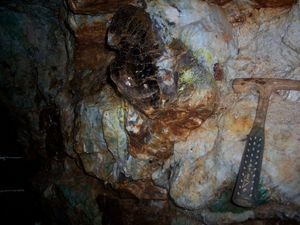 No data supporting orthoclse from this locality are known. 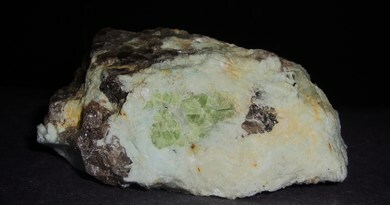 Description: Unbelievable antique report of phlogopite from a pegmatite. No data presented. Reference: [Kearns, 1995 - "Alumino-Fluorides from the Morefield Pegmatite", Mineralogical Record 26 551-557]; Richards, R. P., Kearns, L. E., & Cook, W. R. (1998). 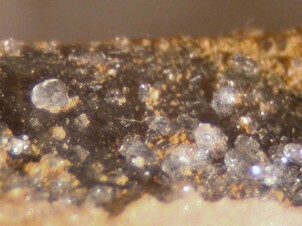 Morphology of Chiolite twins from the Morefield mine, Amelia County, Virginia. Canadian mineralogist, 36, 1009-1016. 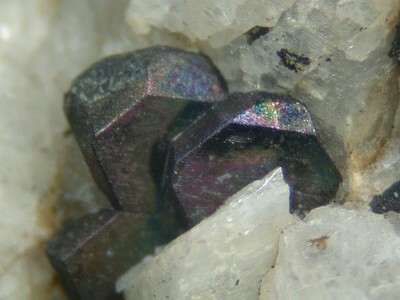 Description: Brown, prismatic microcrystals in association with phosphosiderite, bermanite, secondary apatite, other species of the secondary phosphates assemblage (http://www.mindat.org/mesg-99-323183.html). Reference: Rocks & Min. : 8:143-144.; Arthur A. Pegau (1932) Pegmatite Deposits of Virginia. Virginia Geological Survey; Bulletin 33.; Richards, R. P., Kearns, L. E., & Cook, W. R. (1998). 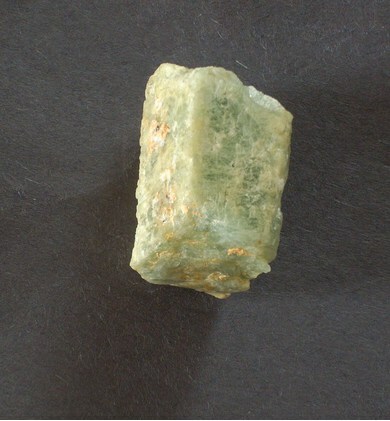 Morphology of Chiolite twins from the Morefield mine, Amelia County, Virginia. Canadian mineralogist, 36, 1009-1016. Reference: USGS Bulletin 248B (1952); Arthur A. Pegau (1932) Pegmatite Deposits of Virginia. Virginia Geological Survey; Bulletin 33.; Richards, R. P., Kearns, L. E., & Cook, W. R. (1998). 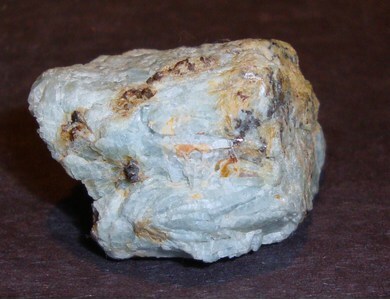 Morphology of Chiolite twins from the Morefield mine, Amelia County, Virginia. Canadian mineralogist, 36, 1009-1016.; Catlos, E. J., & Miller, N. R. (2016). Ion microprobe 208Th-208Pb ages from high common Pb monazite, Morefield Mine, Amelia County, Virginia: Implications for Alleghanian tectonics. American Journal of Science, 316(5), 470-503. 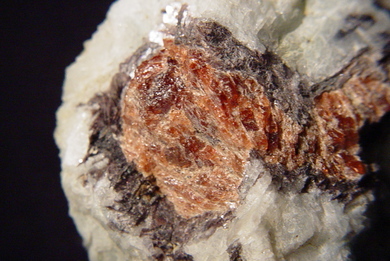 Reference: Arthur A. Pegau (1932) Pegmatite Deposits of Virginia. Virginia Geological Survey; Bulletin 33. 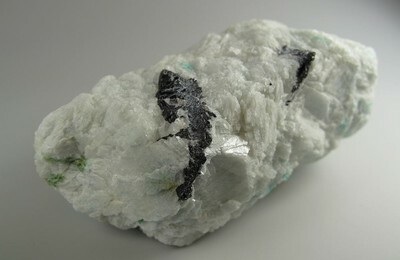 Description: Heterogeneous layered sequence is dominantly garnetiferous biotite gneiss and porphyroblastic gneiss, migmatitic in part, with subordinate interlayered amphibolite and amphibole gneiss (Ya), pelitic-composition gneiss, calcsilicate gneiss, biotite hornblende-quartz-plagioclase gneiss, and garnetiferous leucogneiss. 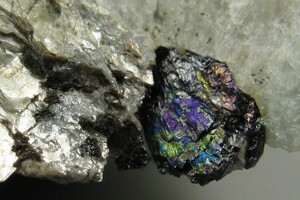 These lithologies contain amphibolite-facies metamorphic mineral assemblages consistent with rock chemistry. 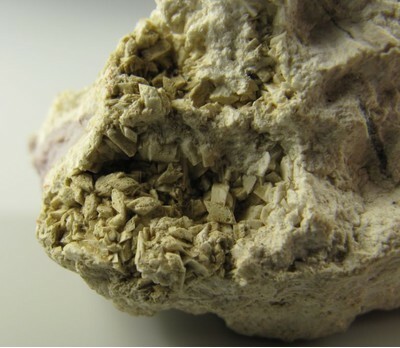 Farrar (1984) reports relict granulite-facies assemblages in some rocks. 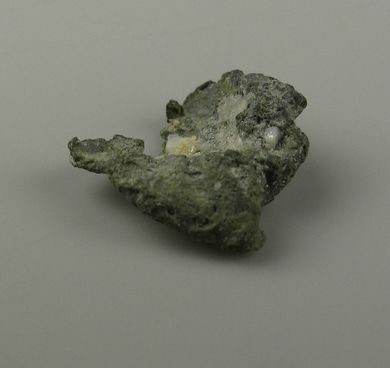 This unit underlies a wide area that surrounds the State Farm antiform (Poland, 1976; Reilly, 1980; Farrar, 1984) and two subsidiary antiforms to the northeast; the unit includes the Maidens gneiss and portions of the Sabot amphibolite of Poland (1976), the eastern gneiss complex and Boscobel granodiorite gneiss of Bobyarchick (1976), and the Po River Metamorphic Suite of Pavlides (1980). Poland (1976) and Reilly (1980) proposed that the Maidens gneiss and Sabot amphibolite were a Late Precambrian- to Early Paleozoic-age volcanic-sedimentary cover sequence unconformably overlying the State Farm gneiss. Farrar (1984) interpreted relict granulite-facies mineral assemblages to have equilibrated during Grenville-age regional metamorphism; this contributed to his conclusion that the Sabot and Maidens, in addition to the State Farm, are Grenville or pre-Grenville in age. 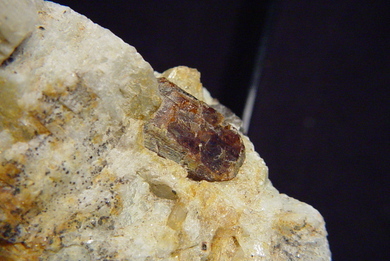 Porphyroblastic garnet-biotite gneiss (Ymd) is intruded by rocks of the Carboniferous-age Falmouth Intrusive Suite (Pavlides, 1980). Comments: Eastern Piedmont Original map source: Virginia Division of Mineral Resources, 2003, Digital Representation of the 1993 Geologic Map of Virginia, Publication 174, CD ROM (ISO-9660) contains image file, expanded explanation in pdf, and ESRI shapefiles, scale 1:500,000. 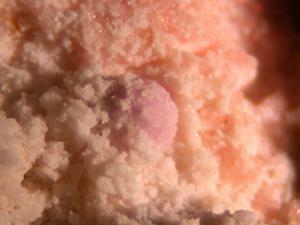 Rocks & Minerals (1933): 8: 143-144. 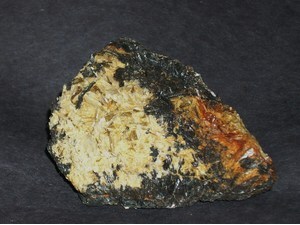 Brown, W.R. (1962) Mica and Feldspar Deposits of Virginia. 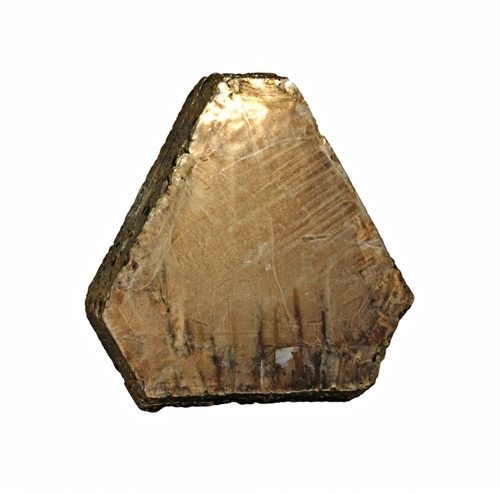 Penick, D. Allen, Jr. (1985): Virginia Mineral Locality Index. 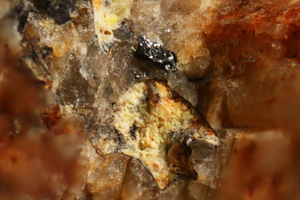 Rocks and Minerals: 60(4): 165. Sweet, P.C. 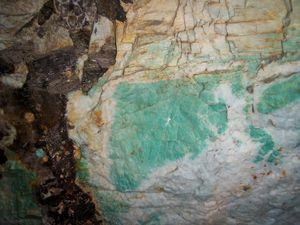 and Penick, D.A., Jr. (1986), Morefield Pegmatite Mine Reopens - Virginia's only Active Underground Gem Mine. 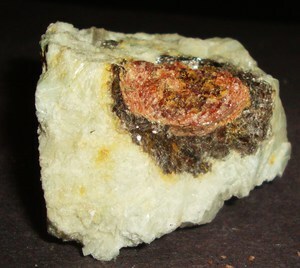 Kearns, Lance E. (1993), Minerals of the Morefield Pegmatite, Amelia County, Virginia. 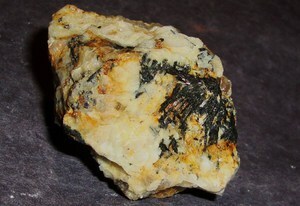 Rocks & Minerals: 68(4): 232-242. 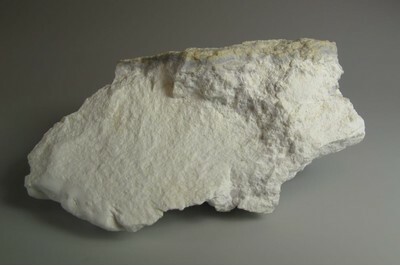 Kearns, Lance E. (1995), Alumino-fluorides from the Morefield pegmatite, Amelia County, Virginia. 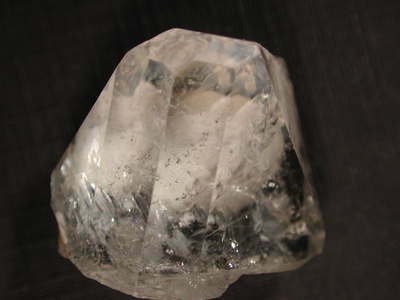 Mineralogical Record: 26(6): 551-556. O’Neill, K. A.; Nowak, B. 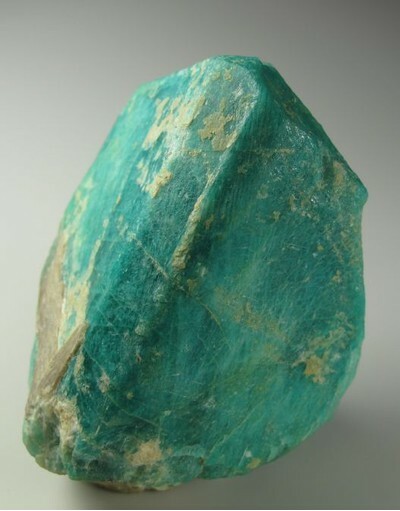 A.; Johnson, C. B.; Kearns, L. E. (1996), Contributed Papers in Specimen Mineralogy: 22nd Rochester Mineralogical Symposium, Mineral Chemistry of Micas and Amazonite: The Morefield Pegmatite, Amelia, Virginia. 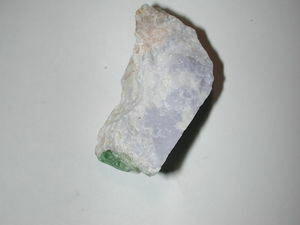 Rocks & Minerals: 71(3): 198-199. 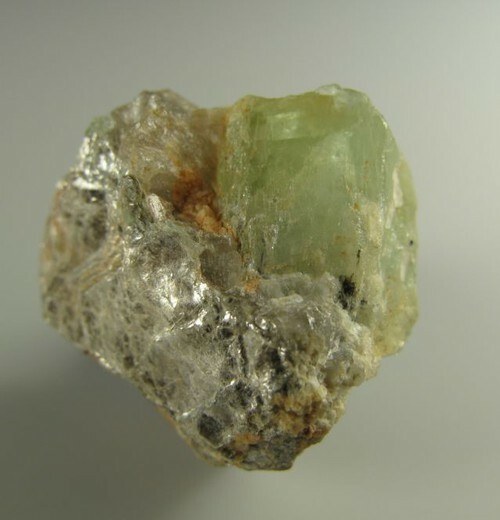 Virginia Minerals, Virginia Division of Mineral Resources, Charlottesville, Virginia: 32(2). 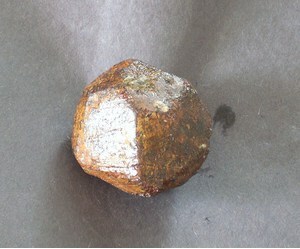 Virginia Division of Mineral Resources Report 3, Charlottesville, Virginia: 59-60, 61-94. 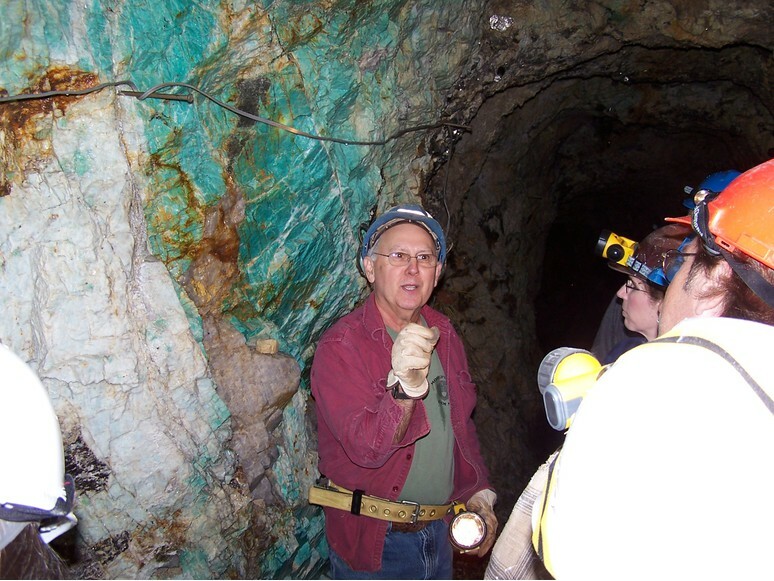 Virginia Geologic Survey Bulletin 33. Catlos, E. J., & Miller, N. R. (2016). 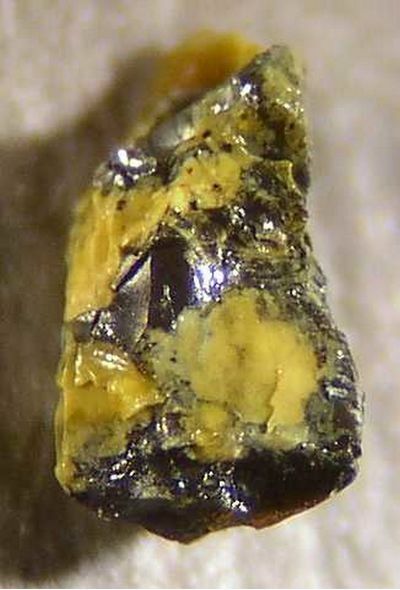 Ion microprobe 208Th-208Pb ages from high common Pb monazite, Morefield Mine, Amelia County, Virginia: Implications for Alleghanian tectonics. American Journal of Science, 316(5), 470-503.